Start taking classes at Physique Swimming and other studios! 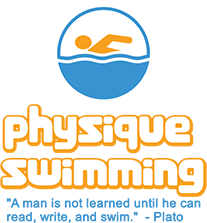 Physique Swimming, located in New York City, provides award winning swim lessons to adults. Please bring your swim suit, swim goggles, swim cap and a towel to class. Classes take place at St. Barts Church on Park Ave between 50th and 51st street. Enter at 325 Park Avenue and walk through the chapel on the right, through a set of doors and to the elevators. The pool and locker rooms are located on the lower level of the recreational area at the end of the hallway to the left. Great class to work on your technique! The instructors here are very attentive and super friendly. Manny is an amazing instructor. He was able to teach to the level of each student. It was a great workout and we learned a lot. We will definitely be back. Paul is an incredible instructor. Extremely attentive and explains technique well. If you know how to swim but want to learn technique from a superb instructor definitely take this. Paul is a patient and excellent instructor. If you are looking to brush up or learn to swim, do yourself a favor and go.